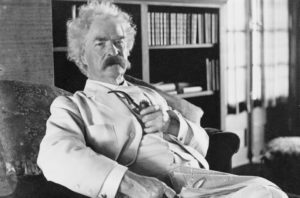 Whether you want to write as an author like Mark Twain or to generate content to market your business, effective writing requires two attributes. They are dedication and passion. 1. Check your motives. Your immediate objective isn’t about making money or becoming famous. Your writing should benefit your readers either for entertainment or for information. And in the end, you’ll enrich your life. 2. You should create content on a daily basis — even if you’re uninspired or tired — but it’s your job. If you’re an author, write every day. If you’re a blogger, develop an editorial calendar and write often and not up against deadlines. Don’t let it become a dreary occupation. 3. Be consistent in your style. If you’re a business or academic writer, you’re likely to be more effective as a passive writer. But if you’re writing the next great novel, throw caution to the wind. 4. Avoid boring, long phrases and sentences. Write with an economy of words. Be descriptive, but eliminate unnecessary words. To maintain your readers’ interest, write short sentences. 5. Know your audience. If you’re writing for academia or business, grammar is important. If not, conversational English should be your goal. Did you ever notice that broadcast journalists write for the ear in order to be easily understood? Yes, they write news copy at a junior high or high-school level. 6. Know that great writers are voracious readers. You won’t add to your readers’ experience, if you’re not well-read. Great writers are often self-taught. You learn by reading. 7. Don’t procrastinate or let fear dictate your approach. As an acronym, FEAR, stands for “frantic effort to avoid responsibility.” Write regularly. Just do it. Chip away. 8. Get rest, recreation, and exercise. You’ll clear your head and feel better with fresh air. 9. Have a support system. If you’re in a healthy relationship, great. You won’t be distracted. 10. Create the right environment for productive writing. Get rid of any distractions so you can focus. 11. Recheck and edit your work. Read it aloud to yourself to catch errors. If you have someone whom you can ask to read your writing, do it. You might get help regarding the structure of your writing or to help you clarify your points. 11 Best Practices to Profit from Writing a Business White Paper — When you’re writing a case study for a client or you’re commissioned to write a white paper – there are best practices — then, there are only attempts at shameless promotion of a biased idea. You’ll want readers to perceive the former. 25 Best Practices for Better Business Writing — If you want to accelerate your career or turbo-charge your business, one of your priorities should be good communication. Good writing is necessary in a myriad of ways, including letters, advertising copy and presentations. Don’t Know How to Write? Here Are 7 Tips to Write Well — So you think you don’t know how to write? You have more potential than you think. However, the more important need you have for writing, the odds are higher that you either freeze from writer’s block or that you’re uncertain about grammar. Don’t let that stop you. Secrets for Attracting, Keeping Readers on Your Blog — Content marketing is a valuable tool, but only if you observe best practices in substance and style – writing the most intriguing headlines and most relevant copy. Attracting readers and keeping them on your blog or site means you must capitalize on your strengths and write for the benefit your Internet readers. PR Is Nearly 90% More Valuable Than Content Marketing — Study — A Bill Gates’ quote is famous: “If I was down to my last dollar, I’d spend it on public relations.” Certainly, there’s validity for his philosophy. Even if you go to the competing Google News, you’ll typically find 50 million results for the key word, Microsoft.